This thread is for live updates and comments regarding The Rolling Stones show at the TW Classic festival, Werchter, Belgium, 28 June 2014. Please tell us your pre- and post-show thoughts and comments here. All time references in Central European Time. Edited 2 time(s). Last edit at 2014-06-29 17:46 by bv. 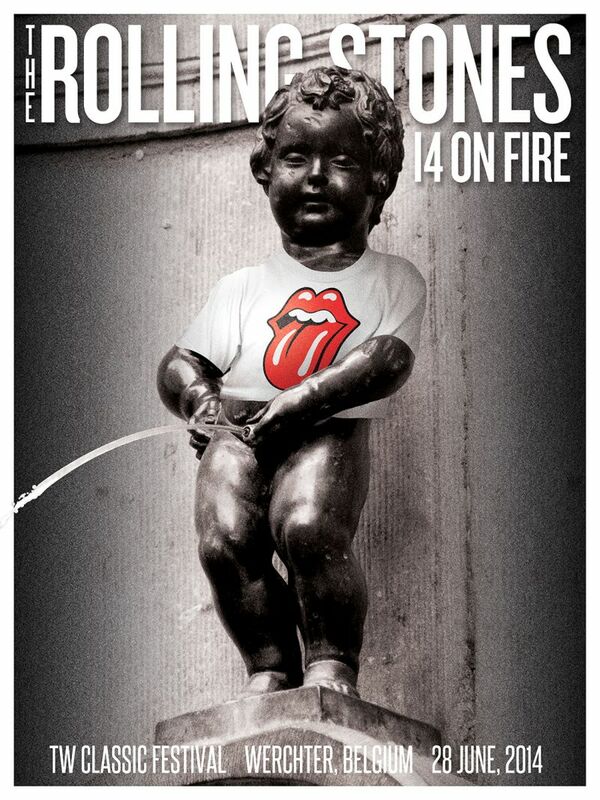 I wonder if the Stones will play It's All Over Now. I am at the corner. The stage is HORRIBLY high. It is a shame!!! I am Keith side. I am not gonna see Charlie at all. Neither Ronnie. "Another late show start tonight ... And a lot of walking, may be also some rain ..."
I don't mind they're starting late and I don't care about walking an extra mile, but I do hate getting wet. Werchter is a horrible site when it's raining so I've decided to arrive around 7 pm, hopefully the heavy rain is over by then. Too bad I'll miss Seasick Steve though! Yes, me too. I've got FOS tickets...rain expected...apparently the stage is too high...no need to be there early. Edited 1 time(s). Last edit at 2014-06-28 14:25 by BowieStone. Simple Minds are a great live band, saw them in the 80s and a 2nd time as support act for The Rolling Stones in 2006. The other bands, who perform there, are also good from what I heard on YouTube. Have fun everyone, who is there today! How do you post a video that appears on the IORR page, BTW. I only get the URL, I must be a caveman. To those who are going, HAVE A GREAT TIME!!! Be safe and respect others. @Ben - sorry to hear about the stage, can you upload any pics? What's the weather like so far? Arrived at campsite Klokkenberg. Great atmosphere. All stones shirts. Rains a little bit. Me and my son. Dream come true. Father and son! Cool. Have fun! Edited 10 time(s). Last edit at 2014-06-28 21:20 by Irix. mother and son, if i remember right. have fun niek and enjoy a good and save show with your son! this will be unforgetable for both of you. 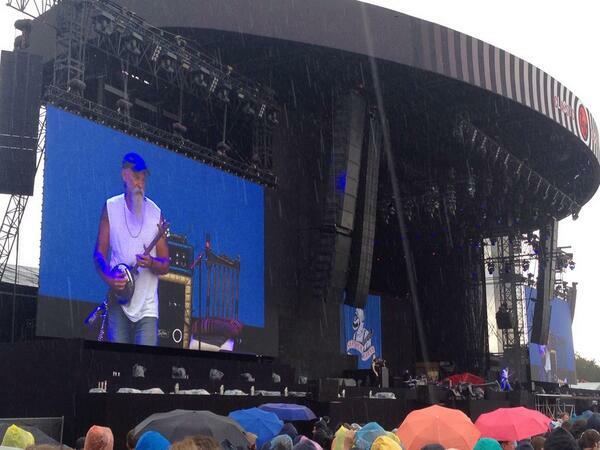 Great to see Seasick Steve! I hope everyone there has a great time! And not too bothered by rain. Some good support acts I'd have enjoyed. We are in. Saw nice show of Seasick Steve. Got wet allready. BTW, where are you based gotablouse? Mother and son, that's right! If there is internet access I will post on my twitter account @Stonesdjenje. 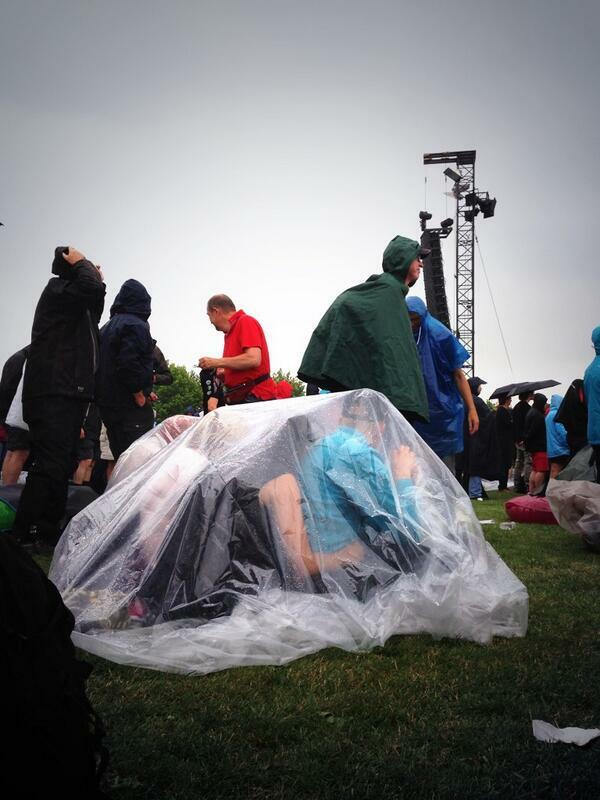 Unfortunately at pinkpop nor duseeldorf there was. Edited 3 time(s). Last edit at 2014-06-28 20:20 by Irix. Thanks for the pics, wow it seems to have filled up for Arno or are we not seeing GC properly on that picture? @The Joker - Paris, France, you ? I'm still at home. I live in The Netherlands and it's less than a 2 hours drive to the Werchter site. So I'm not leaving until after 19:00 o'clock. Hope to be there about nine o'clock and that most of the rain has fallen at that time. I hope they play Street Fighting Man and It's all over now. And please, not two hours before one can drive away in one's car after the concert. Edited 1 time(s). Last edit at 2014-06-28 18:16 by GJV. Paris, but moved in Spain in 2009. Costa Blanca. Denia. Edited 1 time(s). Last edit at 2014-06-28 18:28 by The Joker. Nice photo, but not from today. Stones aren't on for a few hours, so they might not even be on site - let alone in their stage clothes. 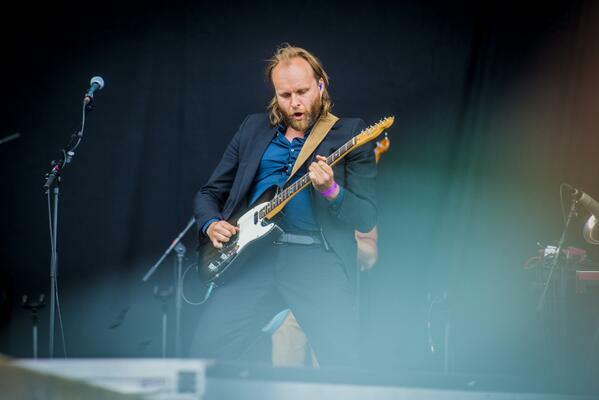 And the Temperance Movement are not in the Line-up today - so the RS picture is not from today.